The heavy rain, mixed with Marlboro clay is what a new report says is to blame for triggering a slow moving landslide in Fort Washington. FORT WASHINGTON, Md. — The heavy rain, mixed with Marlboro clay is what a new report says is to blame for triggering a slow moving landslide in Fort Washington. 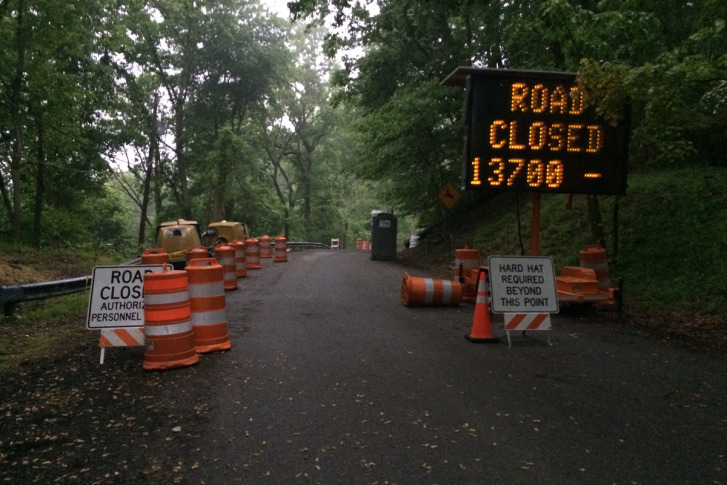 A slope began to give way back on Piscataway Drive back on May 4. Since then, 28 homes have been evacuated, and six are considered uninhabitable. The KCI Technologies report, urges immediate action to stop the moving ground. The report presents three options to do that. The report says more movement is possible as water moves into crack openings at the site. The plans include slope regrading, drilling anchors and, in one solution, erecting an 8-foot wall to support the slope. The 200-page technical report, doesn’t though give residents any idea when they will be allowed to return home. With some homes damaged and others inaccessible because of the road is out, many have been forces to find somewhere else to live for the last 18 days. Residents Thursday night will have a chance to ask county officials questions. A 6:30 p.m. meeting will be held at Harmony Hall.